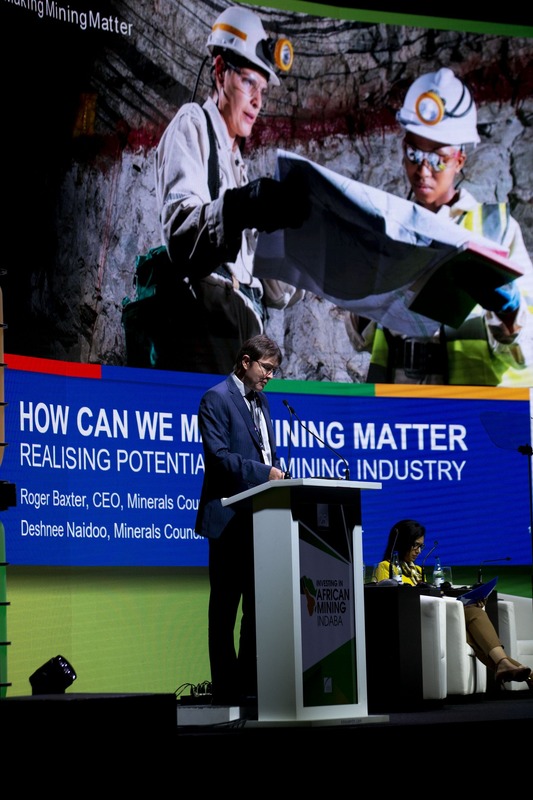 Hundreds of students, academics and young professionals wanting careers in mining attended the Mining Indaba’s Young Leaders in Mining Programme today where they met mining CEOs, potential employers and government leaders. Speakers included Minister Gwede Mantashe, Anglo American Executive Director Andile Sangqu, Vice Chancellor of WITS Professor Adam Habib, Anglican Archbishop of Cape Town, Thabo Makgoba, CEO of Exxaro and president of the mineral’s council, Mxolisi Mgojo, the Minerals Council’s Head of Skills Mustak Ally, and the HR directors from Vedanta and Exxaro, Managing Director of Mining Indaba Alex Grose, and Katlego Letsoalo, Chairperson, SAIMM Young Professionals Council. This year’s Young Leaders Programme saw a new feature building upon organisers’ drive to support young talent in the mining industry and help close the skills gap – a competition open to industry professionals under the age of 35 who have led on a major discovery or innovation in the last 2 years, with projects moving the industry forwards in the fields of safety, water, exploration, mineral recovery and strategy. Olebogeng Sentsho, CEO, Simba MgodiFund the winner of the of the 2019 Leaders of Tomorrow competition commented: “It means the world to me, and I’d like to thank the judges for trusting me with this award. And I hope that this inaugural award will inspire other young leaders to come forward and change this industry. We need disruption”. The Young Leaders Programme is supported by WITS, UWC, UP and UCT schools of mining whose students attended. Four years ago, Brunswick and Investing in African Mining Indaba decided to create a platform for business, youth, universities and government to engage in constructive discourse that would help students and young professionals secure viable, successful careers in the mining sector. With about 300 attendees last year, the event has gone from strength to strength and become THE event for students and young professionals aspiring to learn more about the industry. The day features panels, interviews and keynote speeches by CEOs, the Minister and international industry leaders. It is an opportunity for students and young people interested in a career in mining to meet with and learn from some of the top executives at the world’s most successful mining companies. for further information visit the Mining Indaba website.